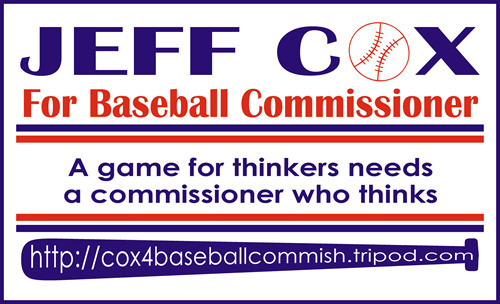 A game for thinkers needs a commissioner who thinks. In the late 19th century, Sigmund Freud started modern psychology after hypnotizing women who suffered fainting spells. After reliving and confronting childhood traumas, the women could recognize their own demons and stay conscious. That was the theory. "Id" and "ego" and "superego" came later, Freud's attempts to make order of seemingly irrational behavior. Of course, now we realize the women's corsets were simply too tight. A little more oxygen can do wonders for a person's ability to stand upright. 1. regularly occurring symptoms of depression (excessive eating and sleeping, weight gain) during the fall or winter months. 2. full remission from depression in the spring and summer months. 3. symptoms have occurred in the past two years, with no nonseasonal depression episodes. 4. seasonal episodes substantially outnumber nonseasonal depression episodes. 5. a craving for sugary and/or starchy foods. The webmistress/alphageek for this site, Kelli McBride, first recognized the obvious connection. Those are all the same symptoms baseball fans suffer through the long off-season. The solution, of course, is to figuratively loosen people's corsets again. Bring on baseball. 1. Most baseball fans eat too much during the off-season, particularly during the early stages of the affliction in November and December. The eating typically peaks four to five weeks after the last game of the World Series. 2. Most baseball fans post a full recovery from depression every spring. 3. Baseball fans have these symptoms every year -- reaching back well into previous generations. The growing popularity of televised basketball and hockey, and the recent development of football as a winter sport, instead of relieving the symptoms of off-seasonal affective disorder, only serve to remind baseball fans of the fun they are not having. 5. A ball park hot dog and a Coke sound good. Walt Whitman said, "Baseball will take our people out-of-doors, fill them with oxygen, give them a larger physical stoicism." The man should have been a doctor -- and I should be baseball commissioner. **McBride, here. I would like to clarify that Cubs fans do not usually look forward to every game. We in fact DO look forward to every game. We are not weak-kneed, fair-weather fans who need an excuse to enjoy the excellent sport of baseball. We love it no matter how well, or how poorly, our team is playing. ardent Cubs fan hoping if the Boston Red Sox and the Chicago White Sox can do it, then so can the Cubs. What other worthy curse is left to overcome?